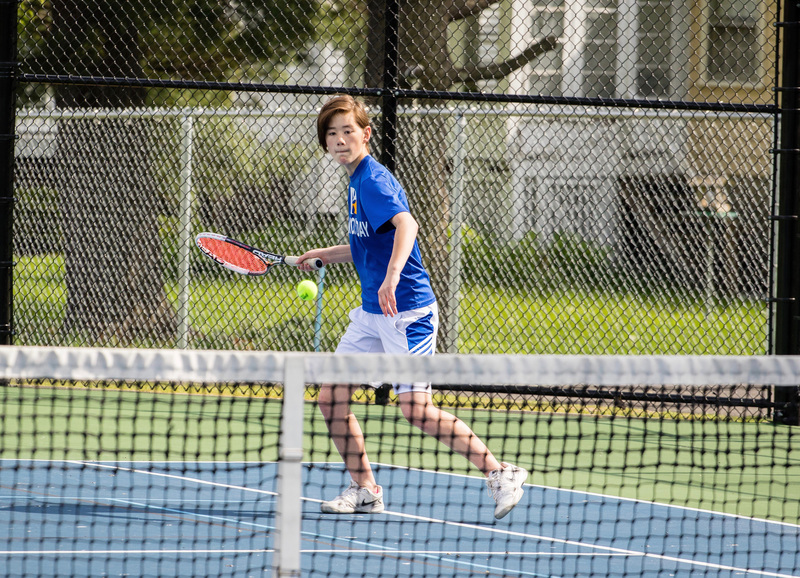 The varsity tennis team put themselves in a position to earn a 4-3 win against Shady Hill this week. Unfortunately, the bounces didn’t go their way and the team dropped three close matches, eventually losing 6-1. Davin Roy secured the team’s only win at first singles (6-4). Philippe Pitts dropped a tough match at second singles (5-7), while doubles teams Eli Burger and Eden Lewis (5-7), and Owen Khanna and Milly Noble (5-6) both came up just short. First-year head coach Jim Walker took plenty of positives from the afternoon despite the disappointing result and is encouraged about the rest of the season. Kaleeen Chen and Camille DeStefano finished 1-2 in the 200m helping lead track & field to an impressive 58-42 win over Shady Hill in the team’s season opener. Elena Ferrari broke a seven-minute mile. The varsity ultimate team exercised some demons against rival Shady Hill with a commanding 6-2 win in challenging conditions this week. Nico Rimer and Max Simon both were strong with the disc. Classmates Chris McEvoy and Alexander Colangelo earned their stripes during boys’ lacrosse’s season opener. McEvoy was fearless between the pipes and Colangelo was effective offensively. Lynn Lewis and Julia Clayton connected on a beautiful goal to start the game, but unfortunately, that was the only offense Belmont Day could muster in girls’ lacrosse’s loss to Shady Hill. Jacob Stephenson and Henry Monroe have been solid performers for the JV tennis team this year. The sixth grade classmates have brought a solid work ethic to practice every day. The JV ultimate team has benefitted from the experienced play of seventh grade classmates Scott Abbott and Noah Burd during intramural competition this spring.